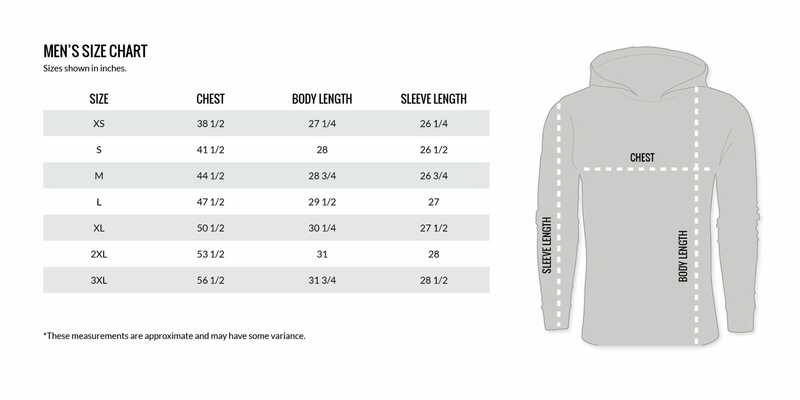 Men's Vortex Full Zip Hoodie is rated 2.0 out of 5 by 2. You can always judge a sweatshirt by the number of its custom “Vortex” zipper pulls… this one has three… that’s pretty dang good! In all semi-seriousness, the “Men’s Zip Up Hoodie” (are you noticing a pattern in our naming yet?) fits like a dream, is the perfect weight for throwing over a T-shirt and going outside in fall and looks killer in its olive green with brown leather patch color combo. The zip-up has “I don’t know what to do with my hands” pockets on the front, providing maximum security for cell phones, wallets, candy bars, pocket knives, a couple extra EDC mags, some packets of BBQ sauce just in case…you know...the essential stuff you don’t wanna lose. And dangit, this thing just fits amazing! We’re running out of ways to tell you this hoodie is awesome, so you’ll just have to get one and find out yourself. Side note – the guy writing this usually gets our Medium sized shirts, but the Large fits best in this particular case. 5’11” 170 lbs. Rated 2 out of 5 by youngbucky03 from Awesome Style - Fit/Size Needs Work Saw this new zip up and loved the style - bought my normal size XL and good grief is it tight.The fit is also off. The forearms are extremely tight as are the shoulders. Its a great style just needs some work on the size/fit. Would love to see a 2.0 version with the sizing corrected. Rated 2 out of 5 by vortex6rr from Its nothing special . bit over priced 5'8" and large fits me perfect . glad i didnt go with medium . its light weight and its comfy . its not too flashy , thats why I like em . but it could be cheaper ?